Love can do wonders. Or if I say it specifically, loving the right one can do wonders. Perhaps there is no definite explanation of what a “right person” looks like. The truth is that there are going to be struggles with everyone. You just have to settle down with the one who is worth all the battles. Nobody is perfect, but love is finding perfection in something absolutely imperfect and making it work out. 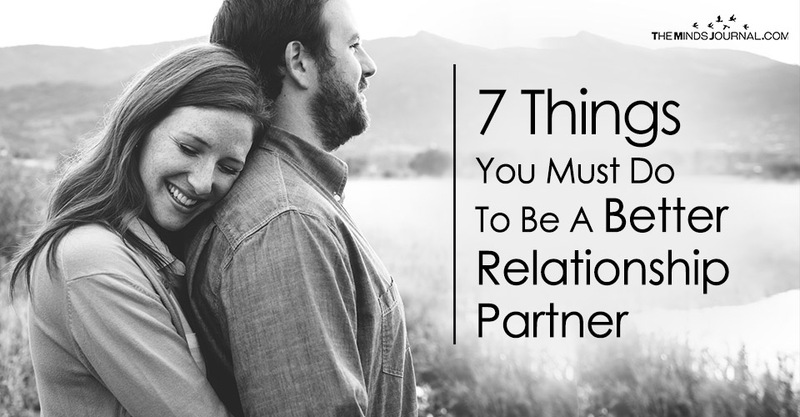 Here are few of the ways you can be the better one your relationship. No, nobody is asking you to be dumb in love. What we’re asking you to do is breathe and take love as it comes. Often we are so stuffed with all the past experiences and already set expectations that we lose out on the essence if its authenticity. It’s good to set standards and not settle down for less but just remember that it’s never going to be perfect with anyone, because if it is then probably it isn’t real. Let your heart feel whoever it wants to and just let your brain process into a conclusion. Never try to silence your feelings. They will always come out in uglier ways. Anger is one of the most aggressive and damaging emotions of all. Yes, you and your partner will not always agree on one thing. You both are different individuals which is why it’s ok to have certain differences. In moments when you both don’t agree on one particular thing, don’t jump to conclusions. Think about it when you’re in a calm state of mind and try to look at things from their point of view. I know it’s always easier said than done but it’s also true that a calmer mind will always come up with better and more meaningful solutions. When we are angry, we are so dedicated to prove ourselves right that we start looking for every evidences that supports our wording. Hence, take your time and don’t rush into conclusions. Exchange favors with your partner often. This will bring you two emotionally closer and also increase your comfort level around them. Exchanging favors is more than just taking help. It has a greater influence on your relationship. It makes your partner feel like they play an active role in your life and that you really need them. To know that someone needs you in their life is honestly one of the most overwhelming feelings ever. Our generation is known to have a very fast life. Every 1 out of 3 people are stressed these days. It could be about anything- work, family, financial issues or ever health. When people are stressed they tend to take rash decisions. This is often because their mind is tired of thinking about a particular problem and they end up taking out its reaction on their relationship. Don’t do that. Sometimes in the heat of moment we end up doing and saying hurtful things. Remember that words can’t be taken back once they are already said. So in such situations, don’t go too hard on yourself. Sleep. Yes. Sleeping will provide peace and rest to your overworked mind. And once your mind has had enough rest it can differentiate between the right and wrong and will also help you in making proper decisions.